Cloudy today in Cleveland, like usual. I put on my orange Burberry coat, to add some color to this chilling- winter-Friday morning. Though it is only then second day of December, I feel Christmas is just around the corner. My friends and I already started to book Christmas trip, schedule holiday parties and prepare shopping lists, lots lots to do. The most important thing I usually do before holidays is workout to increase metabolish, preventing putting any weight on...... I run 5k in the morning, and do weighting before bed. At my height (5'4), I like to keep my weight between 107-110lb. This coat was purchased at 2005, even older than my boy. I sent it out for dry clean in the first couple years, and then I just threw it in my washer. It is till in a perfect condition. 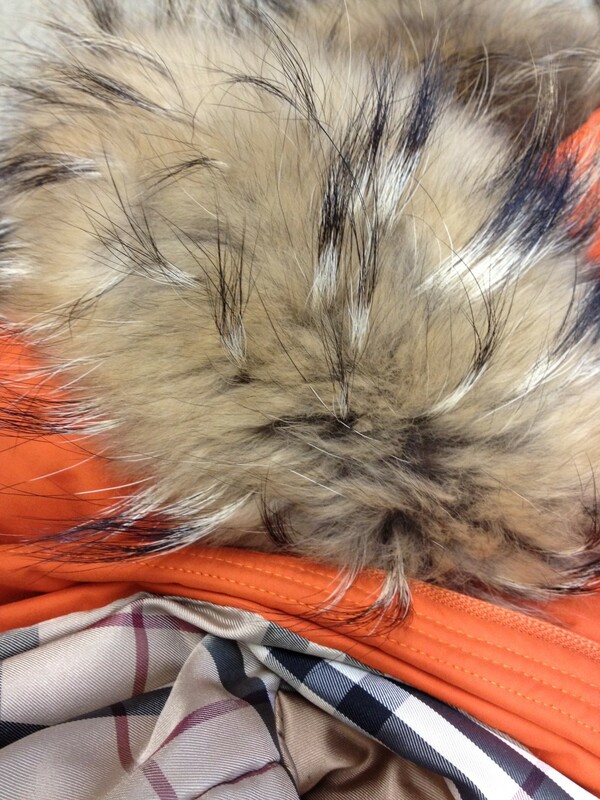 Color is still bright and the racoon fur thrim (which was steamed every season) is still soft!